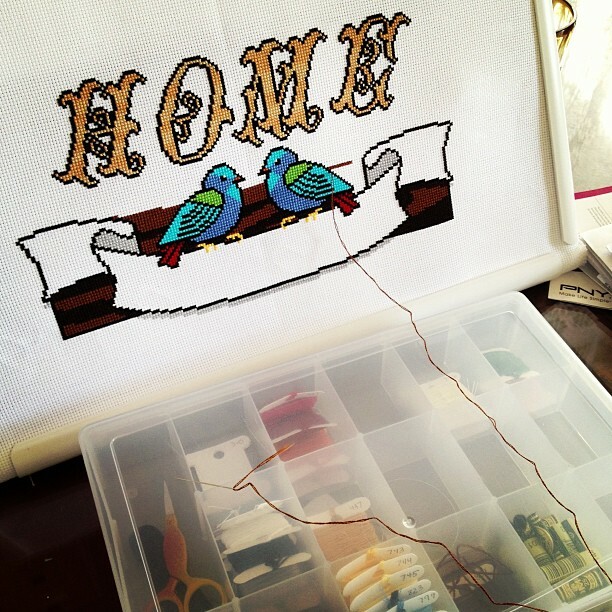 I'm in the process of stitching Home. Like you, virtual stitches just don't do it for me so I'm putting the floss to the fabric for some glamour shots. Eventually every chart in the shop will have a stitched model but you have to start somewhere, right? Here is the progess. I have also created a Flickr group for customers to post pictures of their progress and finishes on K+IC charts. Become a member today! Happy Monday. Have a great week!